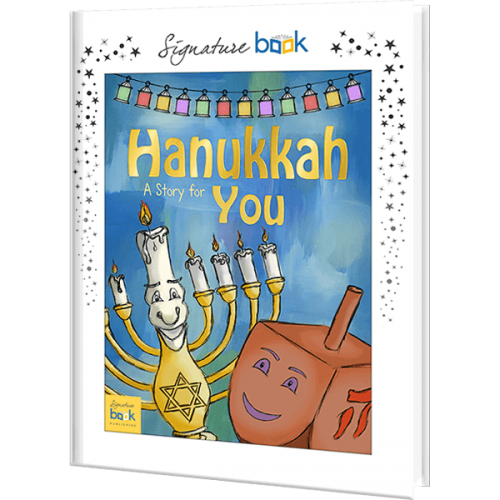 In storybook style this is a child’s perfect introduction to the history of Hanukkah. The main character is a Dreidel, personalized with a child’s name, which is taken back over 2,000 years to the temple and streets of Jerusalem. There he or she meets the Maccabees and learns at first hand the reasons and the miracle that was the origin for the ‘Jewish Festival of Lights’. The story is supported with colored illustrations, also personalized with a child’s name. As a bonus the book explains the traditional game of Dreidel and includes words to the Dreidel song.